Want to reflect on the humanity of it all? Check out this week's lineup of dramas showing on the big screen in and around Houston. With a 94 percent critical approval rating and an audience score of 61 percent on Rotten Tomatoes, "The Favourite" has gotten a lot of positive attention since its release on Dec. 14. Per the site's critical consensus, "'The Favourite' sees Yorgos Lanthimos balancing a period setting against rich, timely subtext - and getting roundly stellar performances from his well-chosen stars." Olivia Colman won the Golden Globe for best actress, while the film was nominated for best screenplay and Best Motion Picture: Musical or Comedy, and Rachel Weisz and Emma Stone were nominated for best supporting actress. It's screening at AMC Willowbrook 24 (17145 Tomball Parkway) and Edwards Houston Marq'E Stadium 23 IMAX & RPX (7620 Katy Freeway) through Tuesday, Jan. 15; AMC Gulf Pointe 30 (11801 So Sam Houston Parkway East) and AMC Studio 30 (2949 Dunvale) through Wednesday, Jan. 16. Click here for showtimes and tickets. It follows Adonis Creed's life inside and outside of the ring as he deals with new found fame, issues with his family, and his continuing quest to become a champion. With an 83 percent critical approval rating and an audience score of 84 percent on Rotten Tomatoes, "Creed II" has proven a solid option since its release on Nov. 21. Per the site's critical consensus: "'Creed II''s adherence to franchise formula adds up to a sequel with few true surprises, but its time-tested generational themes still pack a solid punch." Get a piece of the action at Edwards Greenway Grand Palace Stadium 24 & RPX (3839 Weslayan) through Tuesday, Jan. 15; Studio Movie Grill Pearland (8440 S. Sam Houston East Parkway) through Wednesday, Jan. 16; AMC Willowbrook 24 (17145 Tomball Parkway) and Greenspoint Premiere Renaissance 15 (12300 N Freeway, #400) through Wednesday, Jan. 16. Click here for showtimes and tickets. With a critical approval rating of 81 percent and an audience score of 94 percent on Rotten Tomatoes, "Green Book" has proven a solid option since its release on Nov. 16. The site's critical consensus notes that "'Green Book' takes audiences on a surprisingly smooth ride through potentially bumpy subject matter, fueled by Peter Farrelly's deft touch and a pair of well-matched leads." The film won the Golden Globe for Best Motion Picture: Comedy or Musical, Mahershala Ali won the supporting actor category, and Farrelly was nominated for best director of a motion picture. It's screening at Edwards Houston Marq'E Stadium 23 IMAX & RPX (7620 Katy Freeway) through Tuesday, Jan. 15; Edwards Greenway Grand Palace Stadium 24 & RPX (3839 Weslayan), AMC Willowbrook 24 (17145 Tomball Parkway) and AMC Studio 30 (2949 Dunvale) through Wednesday, Jan. 16; and Click here for showtimes and tickets. Singer Freddie Mercury, guitarist Brian May, drummer Roger Taylor and bass guitarist John Deacon take the music world by storm when they form the rock 'n' roll band Queen in 1970. Hit songs become instant classics. When Mercury's increasingly wild lifestyle starts to spiral out of control, Queen soon faces its greatest challenge yet - finding a way to keep the band together amid the success and excess. With a 62 percent critical approval rating and an audience score of 90 percent on Rotten Tomatoes, "Bohemian Rhapsody" is well worth a watch. 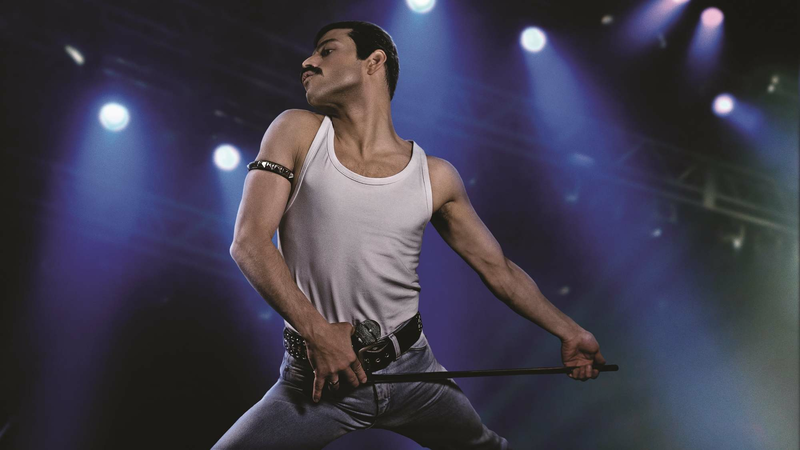 The site's critical consensus indicates that "'Bohemian Rhapsody' hits a handful of high notes, but as an in-depth look at a beloved band, it offers more of a medley than a true greatest hits collection." Rami Malek, who plays Mercury in the film, won Best Actor at the Golden Globes. The film won Best Drama. In the mood for popcorn? It's playing at Cinemark Tinseltown USA (11450 East Freeway), Edwards Greenway Grand Palace Stadium 24 & RPX (3839 Weslayan), AMC Willowbrook 24 (17145 Tomball Parkway) and Studio Movie Grill Pearland (8440 S. Sam Houston East Parkway) through Wednesday, Jan. 16. Click here for showtimes and tickets. A corrupt police officer enjoys all the perks of being an immoral and unethical police officer until an event transforms his life completely and forces him to choose the righteous path. With a critical approval rating of 60 percent and an audience score of 44 percent on Rotten Tomatoes, "Simmba" is worth a watch. It's playing at AMC Studio 30 (2949 Dunvale) and AMC Gulf Pointe 30 (11801 So Sam Houston Parkway East) through Wednesday, Jan. 16. Click here for showtimes and tickets.